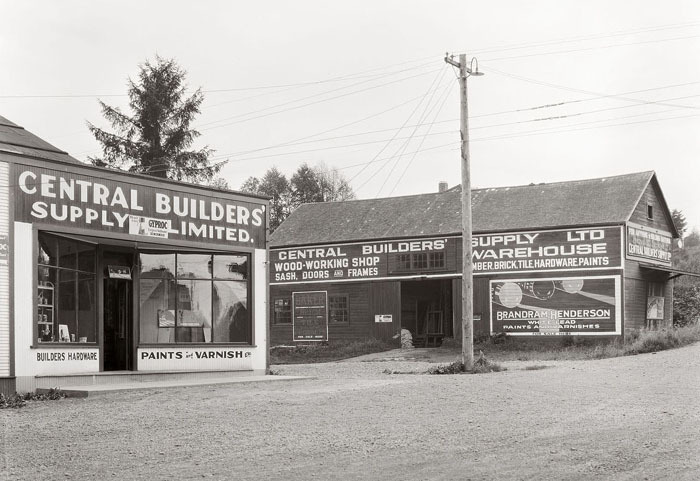 Here is the latest newsletter installment of an image from the museum’s award-winning book Watershed Moments – A Pictorial History of Courtenay and District. Photo credit: 6th Street view of Central Builders’, 1932. Charles Sillence photographer. Photo caption: CDM Sillence Collection. Page 148.